Mayor David Condon announced the city had raised almost $20,000 through its Give Real Change initiative during a news conference Thursday. 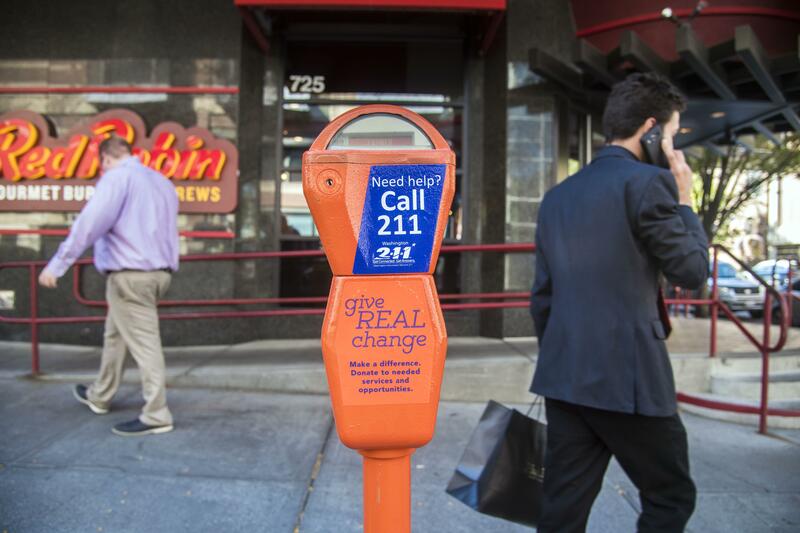 The program launched in fall 2017 with 12 orange meters people could donate to instead of directly to homeless people at intersections and street corners. He said targeted intervention by organizations like SNAP, which provides low-income or homeless individuals with housing and other resources, is a long-term solution to reducing homelessness. Citing data from the Point in Time Count and the city’s homeless data system, he said several thousand people had left homelessness this year, but there are many falling back into homelessness or becoming homeless for the first time. Spokane police Chief Craig Meidl said the charities to which the city gives the Give Real Change money can use it far more effectively than an individual homeless person can on the street. He said panhandlers at intersections who approach cars are also in danger of being hit or becoming a victim of a road-rage incident. City leaders, such as Condon, said the initiative is designed to stop panhandling, but Meidl said it would be almost impossible to quantify if the program has reduced the practice. Condon said if local businesses would like to have an orange meter on their property, they would consider adding more throughout the city. People can also donate through drop boxes at the downtown bus station and airport, they can round up on their utility bills or they can donate by calling 311. City Councilwoman Candace Mumm, who was also at the news conference, said the city would likely donate portions of the money gathered through the program to other charities next month. Published: April 11, 2019, 7:23 p.m. Updated: April 11, 2019, 9:26 p.m.